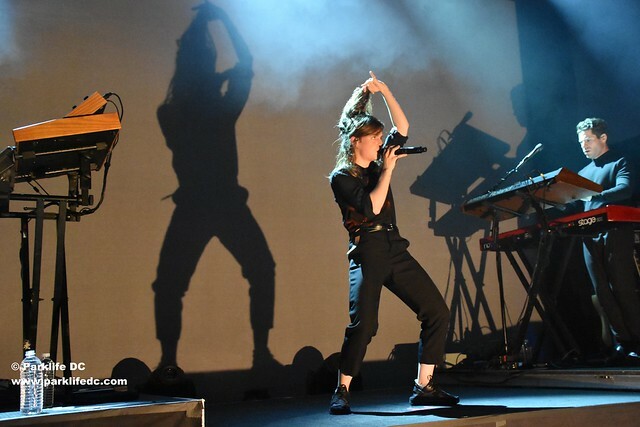 Posted on 06/03/2016 by Mickey McCarter	in Live Review and tagged 9:30 Club, Christine and the Queens, dance, Europop, France, Heloise Letissier, hip hop, synthpop. “I don’t quite fit. 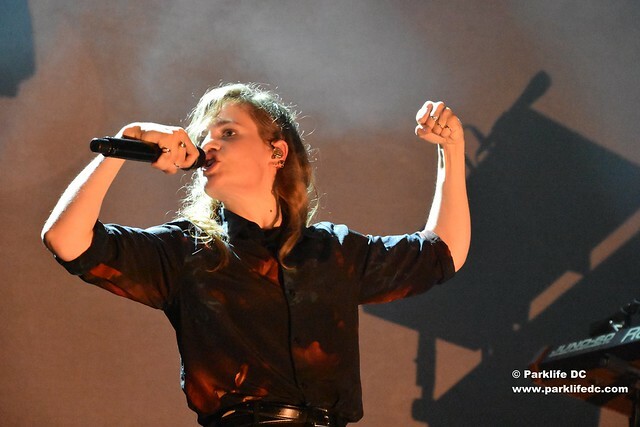 It’s like Tetris, and I’m the wrong piece,” said Héloïse Letissier, known by her stage name Christine and the Queens, in her sold-out show at the 9:30 Club on Tuesday. 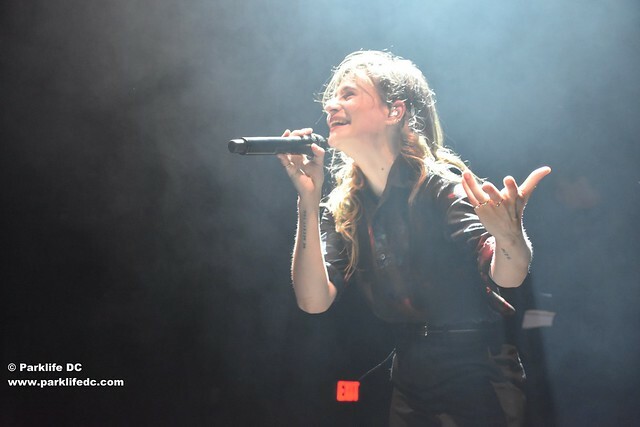 Christine and the Queens launched into her song “Tilted,” which assures us she is “good” although she is a bit different. 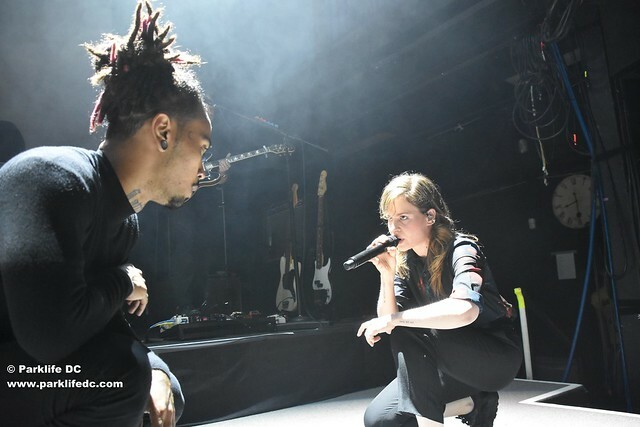 It also reminds us that she is French, hailing originally from Nantes, as she breaks out into a pleasant French-language rap in the last part of the song. 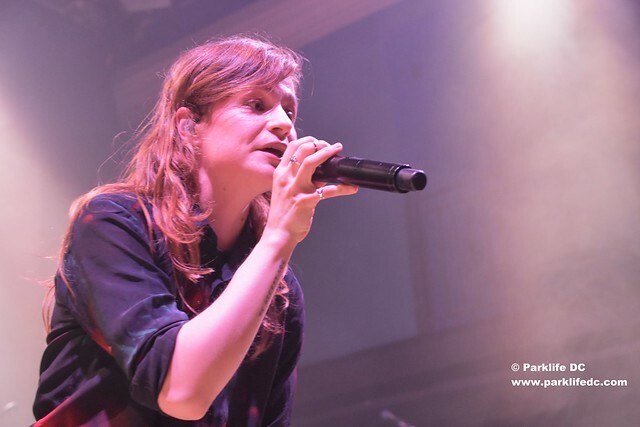 As such, the song is a perfect representation of the music of Christine and the Queens — call it Europop meets hip hop. 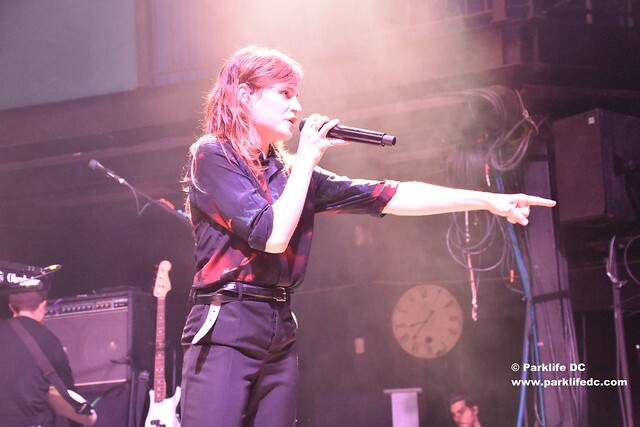 In her visit to the 9:30 Club, Christine and the Queens sang songs from her self-titled international debut album, released in the United States in 2015 via Neon Gold Records. 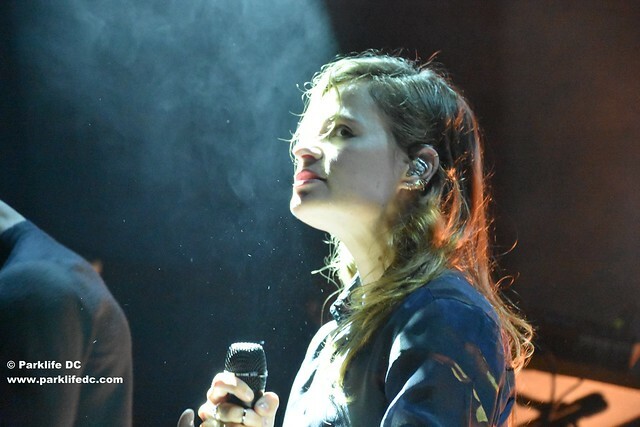 Many of the songs from the record were inspired by a self-awakening Héloïse experienced in recent years, and her subsequent refusal to be “any one thing” or fit in a box. The nom de guerre of Christine and the Queens refers in part to the drag queens who helped her find her way in London. 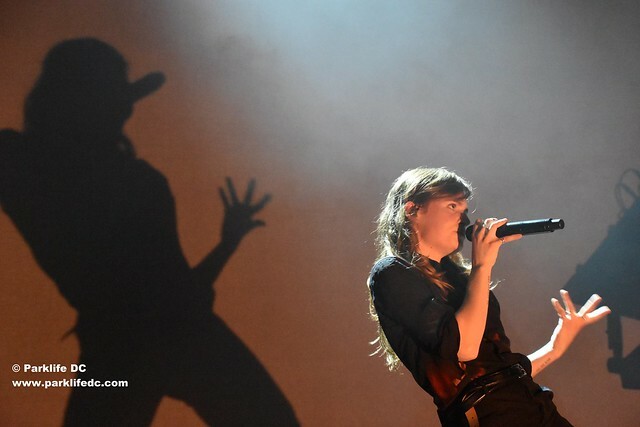 But just as Christine and the Queens herself refused to be put in a box, so does the performance. Héloïse is also a dancer, and she is very interested in choreographed numbers and simple and effective artistic embellishments. So much of the concert is shared with four male dancers who provide flourishes to Héloïse’s lyrical accompaniment. At other times, she makes use of film or shadow to deliver a concept of an “inner self” or “other self” perhaps? 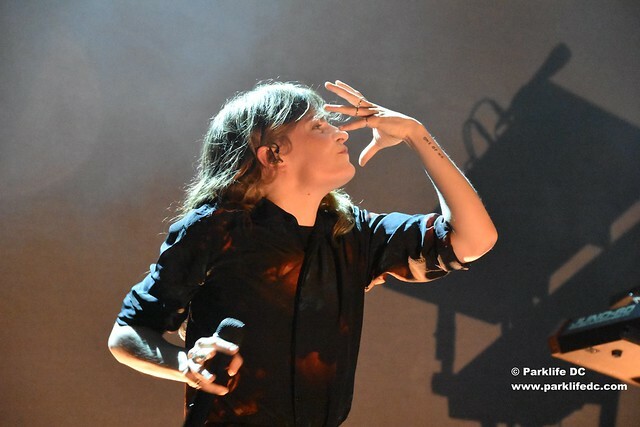 Either way, Christine and the Queens uses the techniques to emphasize visually the metaphor that we are more than one thing or more than we may seem. 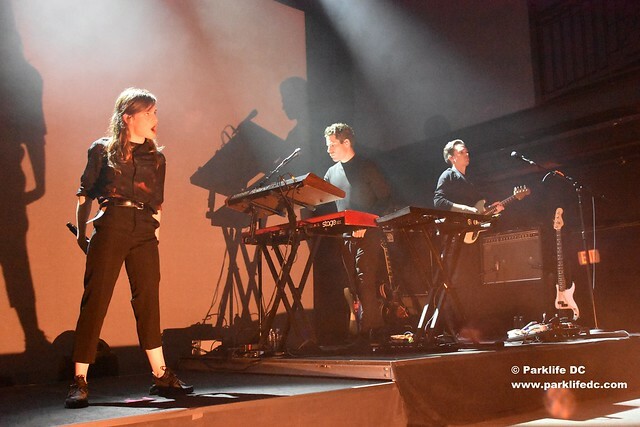 Later, Christine and the Queens switches into her well-regarded single “Saint Claude,” which she first released a few years ago. But her voice still carries the pain of how she did not stand up for a young man in Paris one day when he was mocked by passerby. Apparently, he didn’t fit in in some way, and Héloïse went home from the scenario, internalizing the hurtful experience of the young man’s rejection. She decided he was beautiful, and she felt ashamed she did not stand up for him or befriend him. In her mind, she dubbed him Claude, and recorded “Saint Claude” in his honor. 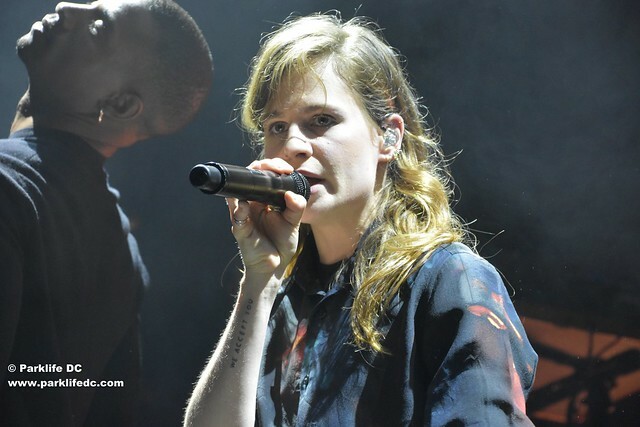 Not everything from Christine and the Queens comes with a message, however. Sometimes, we just have fun. Such is the case when a surprisingly familiar beat rings out, and Christine and the Queens along with dancers break out into a routine to the very familiar sound of “Pump Up the Jam” by Technotronic from 1989! 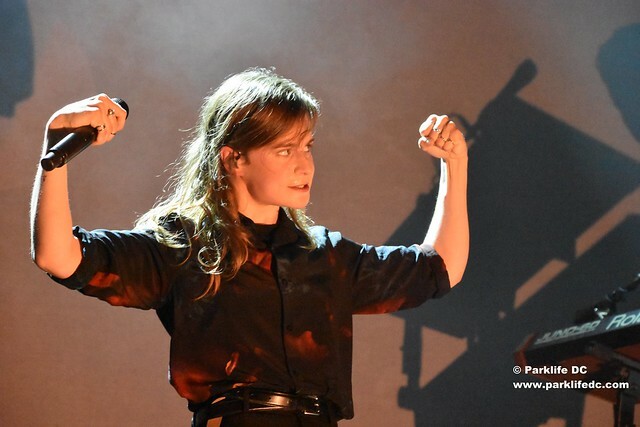 “Pump Up the Jam” gives way to Christine and the Queens’ own “Intranquillité” from French debut album Chaleur Humaine — some of which served as the basis for the Christine and the Queens album once translated into English. 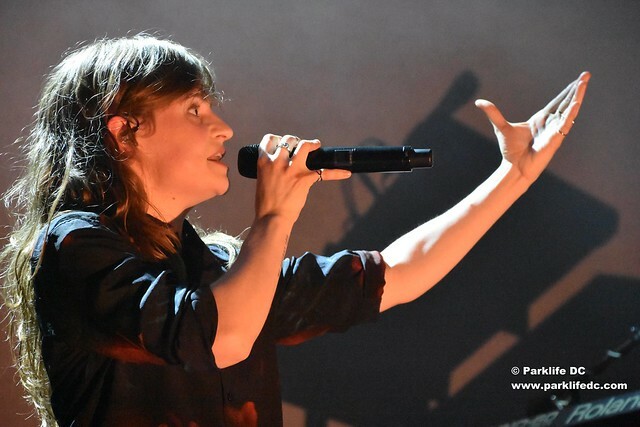 It’s a dance track of course and it consists of pounding waves of synth that form the backbone of the Europop from which Christine and the Queens freshly arrives. All in all, the show was a feel-good experience that seemed to please everyone in the crowd. It’s an experience you should share when it makes itself available to you! 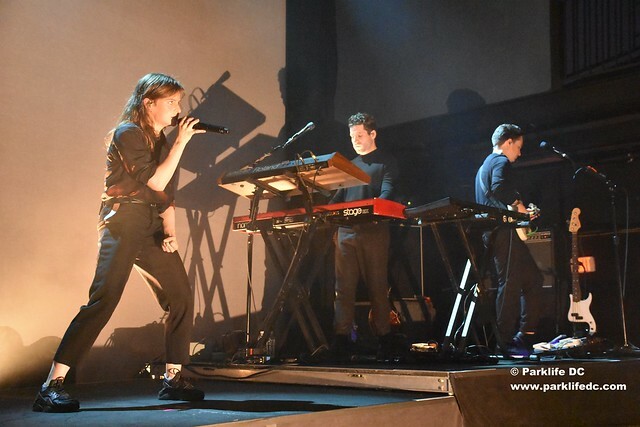 Christine and the Queens wraps up her first US headlining tour tonight Friday, June 3, as part of the Governors Ball in New York. But I suspect we will see her dancing her way back into our hearts very soon. 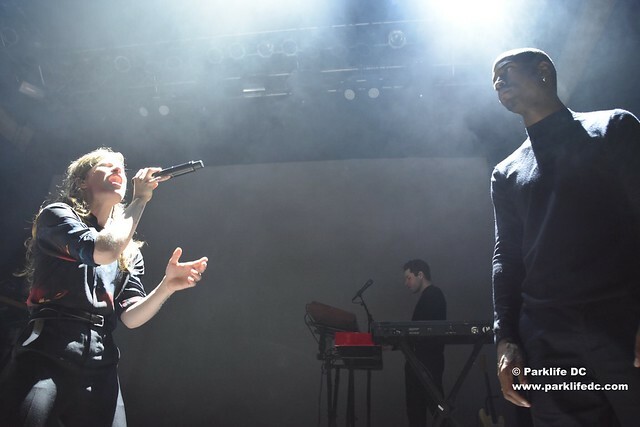 Here are some more pictures of Christine and the Queens performing at the 9:30 Club on May 31.